Dodge, Jeep, Chrysler Emergency Service Key..
Honda Accord, Civic, Odyssey Emergency Service Key.. Emergency service key for:VW Passat 2006-2009 B6VW CC 2008-2014.. This is Universal remote head keys for Key Diy (KD)You can use it in a frequency range of 315-433 Mh.. 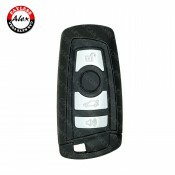 This is Universal remote head keys for Key Diy (KD)You can use it in a frequency .. This is Universal remote fob keys for Key DIY (KD).You can use it in a frequency range of 315-433 MH..